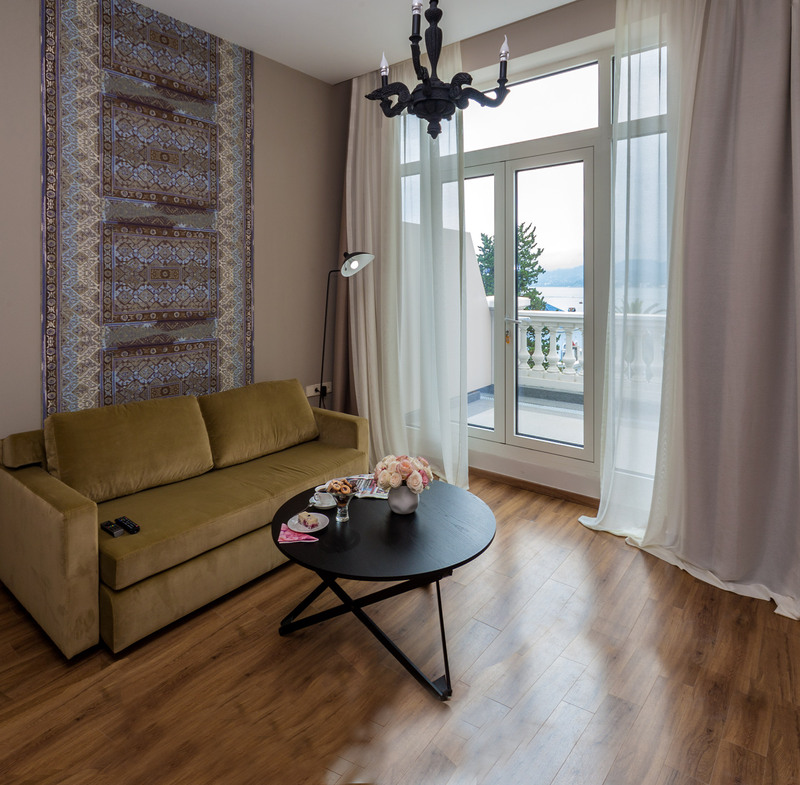 So many different patterns, finishes and themes of Elitis have been used while decorating the premium apart-hotel LE PORT in Batumi, Georgia. 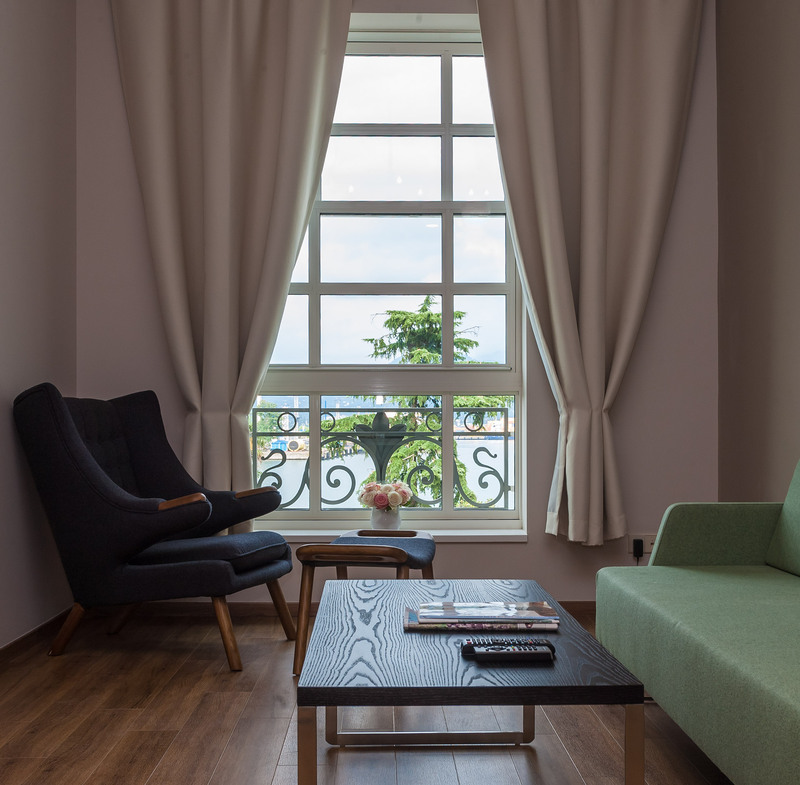 The one-room apartment with a modest-sized terrace overlooking the sea and the city: Living room, bedroom and kitchen in one space. Designed for one, maximum two people; Le Port provides all necessary conditions for a modern person even in this type of rooms. Living room, kitchen and one or two bedrooms; Room size is relatively modest. Tastefully decorated space is rationally planned. There are all conditions for living and for recreation. 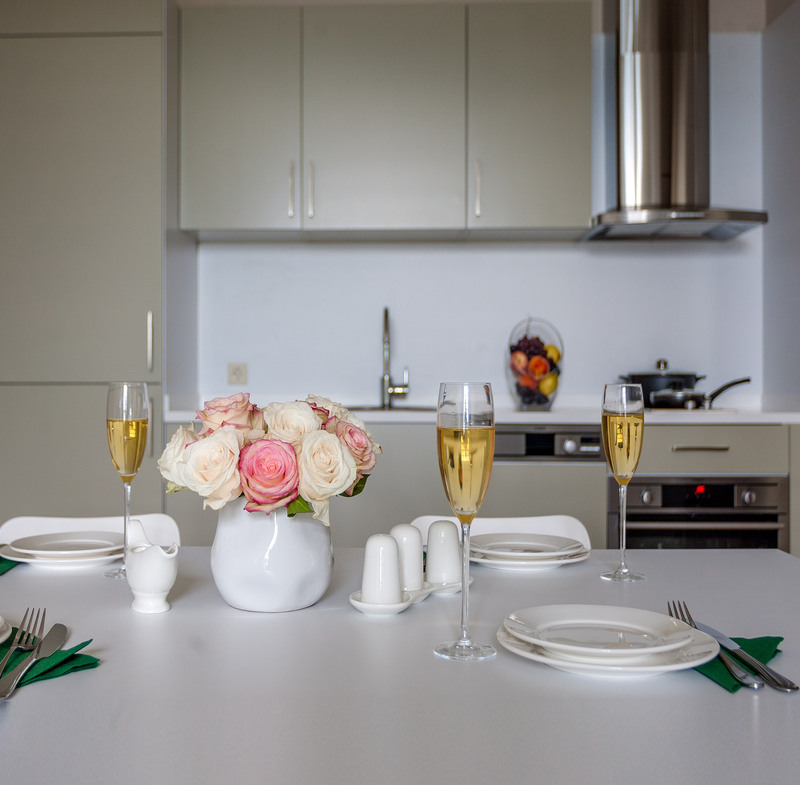 Living room, kitchen and two bedrooms; all apartments have a terrace overlooking the sea and the city. These rooms represent the improved version of the representative apartments with respect of the area and decoration. Beautiful and tastefully chosen curtains, nice lighting and calm colors fill the interior and grant the rooms with refinement. 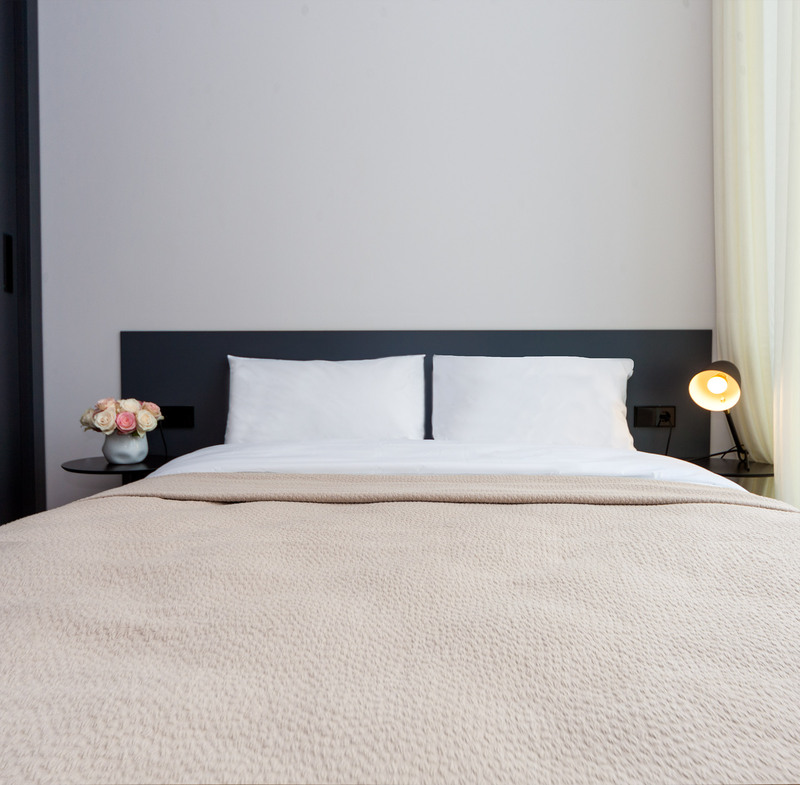 In fresh white seersucker cotton, our bedlinen is comfortable and versatile and designed to enhance stylish bedrooms. Living room, kitchen and one or two bedrooms: apartments with a terrace overlooking the sea and the city, relatively large rooms. Here is sufficient open space. Beautiful furniture, luxurious fabrics and exquisite design create a unique peace and loftiness. The apartments fully furnished with furniture and necessary accessories also have kitchen appliances from AEG-electrolux. Living room, kitchen and one or two bedrooms: large apartments with wide terraces overlooking the sea and the city. The interior with refinement and airy lightness characteristic for Le Port creates exciting and festive mood. Luxury, comfort and a sense of pragmatism will not leave indifferent any person desiring standout living and recreation. Living room, kitchen and one or two bedrooms: expanding apartments with large terraces. The views from the open terrace appear pleasantly and give the interior sense of exclusive perfection. Here quietness and essence of the coast, port fuss, noise of waves, twinkle of magnolia leaves are combined in the best way with the care provided by "Le Port" for exclusiveness of the guests. 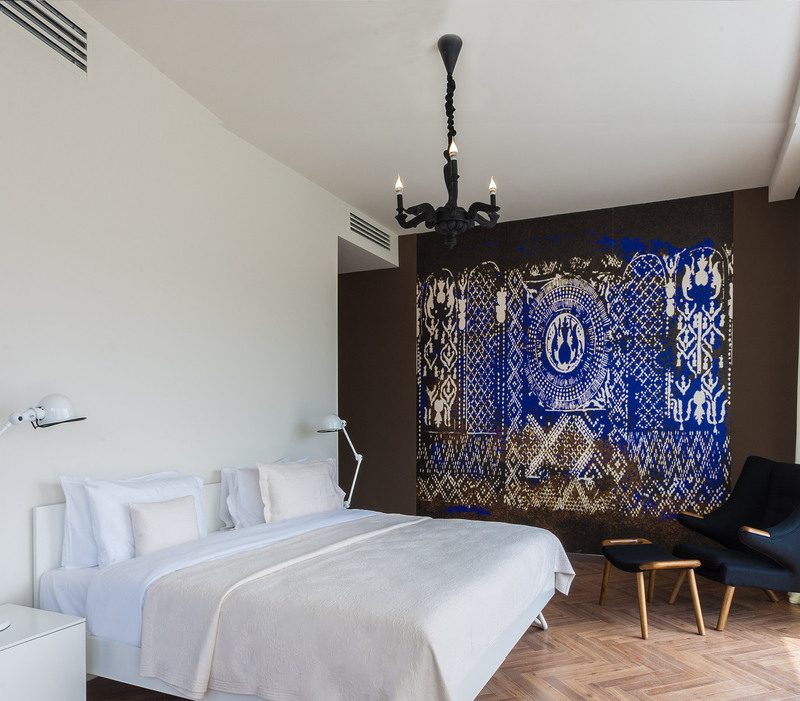 ELITIS is the trendiest wall-coverings’ design studio , their creations are trend-setting in terms of design and the materials used. Penthouse with its spatial planning, large terraces and wonderful views: the separate bedrooms so-called Master-Bedrooms, a living room with wonderful views of the beach. 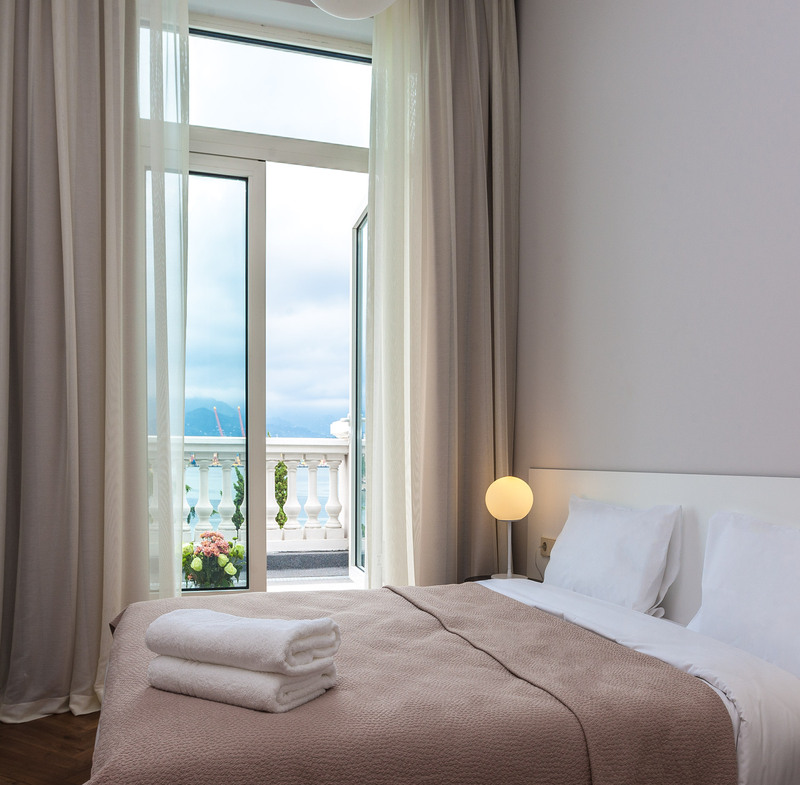 In one of the apartment on the penthouse the bathroom has a panoramic view of the sea-through panorama windows. 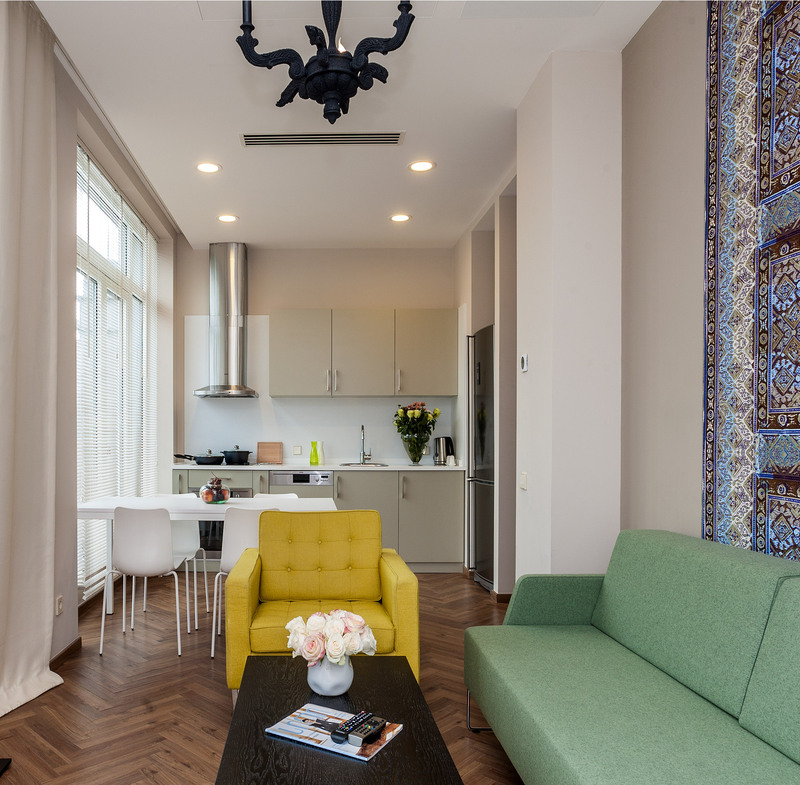 A person who even once visits "Le port" and spends unforgettable days in these beautiful apartments, will re-discover Batumi and stay and leisure in "Le port" will become a usual requirement for him/her.